Brandt, Deborah (2007). Tangled Routes: Women, Work, and Globalization on the Tomato Trail. Lanham: Rowman and Littlefield. Buchanan, Patrick J. (2006). State of Emergency: The Third World Invasion and Conquest of America. Nueva York: Thomas Dunne Books. Chang, Grace (2000). Disposable Domestics: Immigrant Women Workers in the Global Economy. Boston: South End Press. Chavez, Leo R. (2001). Covering Immigration: Popular Images and the Politics of the Nation. Berkeley: University of California Press. _____ (2004). “A Glass Half Empty: Latina Reproduction and Public Discourse”. Human Organization, 63 (2), pp. 173-188. _____ (2013). The Latino Threat: Constructing Immigrants, Citizens, and the Nation (2a ed.). Redwood City: Stanford University Press. _____ (2014). “‘Illegality’ across Generations: Public Discourse and the Children of Undocumented Immigrants”. En Cecilia Menjívar y Daniel Kanstroom (eds.). Constructing Immigrant “Ilegality”: Critiques, Experiences, and Responses (pp. 84-110). Nueva York: Cambridge University Press. Choi, Kate H. (2014). “Fertility in the Context of Mexican Migration to the United States: A Case for Incorporating the Pre-migration Fertility of Immigrants”. Demographic Research, 30 (24), pp. 703-738. Law Journal, 18 (2), pp. 345-372. Enoch, Jessica (2005). “Survival Stories: Feminist Historiographic Approaches to Chicana Rhetorics of Sterilization Abuse”. Rhetoric Society Quarterly, 35 (3), pp. 5-30. Genova, Nicholas de (2005). Working the Boundaries: Race, Space, and “Illegality” in Mexican Chicago. Durham: Duke University Press. Gergen, Kenneth J. (1985). “The Social Constructionist Movement in Modern Psychology”. American Psychologist, 40 (3), pp. 266-275. Gutiérrez, Elena R. (2008). Fertile Matters: The Politics of Mexican-Origin Women’s Reproduction. Austin: University of Texas Press. Hacking, Ian (1999). The Social Construction of What? Cambridge: Harvard University Press. Haney López, Ian F. (2000). “The Social Construction of Race”. En Richard Delgado y Jean Stefancic (eds.). Critical Race Theory: The Cutting Edge (2a ed.) (pp. 163-175). Filadelfia: Temple University Press. Hernández, Laura (2010). “Anchor Babies: Something Less than Equal Under the Equal Protection Clause”. Southern California Review of Law and Social Justice, 19 (3), pp. 331-376. Holmes, Lisa (2009). Reclaiming the Female Body: Chicana Literatures Resistance to Mexican Literature’s Traditional Objectification of Women (tesis de maestría de artes en humanidades). California State University Dominguez Hills, Carson. Huang, Priscilla (2008). “Anchor Babies, Over-Breeders, and the Population Bomb: The Reemergence of Nativism and Population Control in Anti-Immigration Policies”. Harvard Law and Policy Review, 2, pp. 385-406. Huntington, Samuel (2004). Who are We? The Challenges to America’s National Identity. Nueva York: Simon & Schuster. Inda, Jonathan Xavier (2008). Targeting Immigrants: Government, Technology, and Ethics. Malden: Wiley-Blackwell. _____ (2013). “Subject to Deportation: irca, ‘Criminal Aliens,’ and the Policing of Immigration”. Migration Studies, 1 (3), pp. 292-310. Feminist Thought, 8 (1), pp. 1-21. Mendoza, Ashley E. (2011). “Anchors Aweigh: Redefining Birthright Citizenship in the 21st Century”. Journal of Law & Family Studies, 13, pp. 203-213. Menjívar, Cecilia, y Kanstroom, Daniel (2013). Constructing Immigrant “Illegality”: Critiques, Experiences, and Responses. Nueva York: Cambridge University Press. (eds.). Women of Color in U.S. Society (pp. 265-290). Filadelfia: Temple University Press. Ngai, Mae M. (2004). Impossible Subjects: Illegal Aliens and the Making of Modern America. Princeton: Princeton University Press. Owen, Ian Rory (1995). “El construccionismo social y la teoría, práctica e investigación en psicoterapia: un manifiesto de psicología fenomenológica”. Boletín de Psicología, 46, pp. 161-186. Parrado, Emilio A. (2012). “How High is Hispanic/Mexican Fertility in the United States? Immigration and Tempo Considerations”. Demography, 48 (3), pp. 1059–1080. Women and Their Children”. Indiana Law Journal, 83 (4), pp. 1355-1389. _____ (2011). “Constructing Mexican Immigrant Women as a Threat to American Families”. International Journal of Sociology of the Family, 37 (1), pp. 49-68. Santa Ana, Otto (2002). Brown Tide Rising: Metaphors of Latinos in Contemporary American Public Discourse. Austin: University of Texas Press. Schrag, Peter (2011). Not Fit for Our Society: Immigration and Nativism in America. Berkeley: University of California Press. Valdivia, Angharad N. (2010). Latina/os and the Media. Cambridge: Polity Press. Weber, Lynn (1998). “A Conceptual Framework for Understanding Race, Class, Gender, and Sexuality”. Psychology of Women Quarterly, 22, pp. 13-32. Wilson, Tamar Diana (2000). “Anti-immigrant Sentiment and the Problem of Reproduction/Maintenance in Mexican Immigration to the United States”. Critique of Anthropology, 20 (2), pp. 191-213. _____ (2006). “Strapping the Mexican Woman Immigrant: The Convergence of Reproduction and Production”. Anthropological Quarterly, 79 (2), pp. 295-302. Wright, Melissa W. (2006). Disposable Women and Other Myths of Global Capitalism. 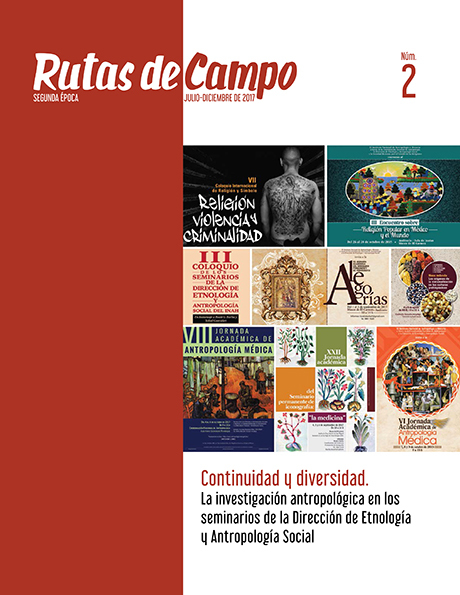 Nueva York: Routledge-Taylor & Francis. Yoshikawa, Hirokazu (2011). Immigrants Raising Citizens: Undocumented Parents and Their Young Children. Nueva York: Russell Sage Foundation.